Democracy is embedded at school. 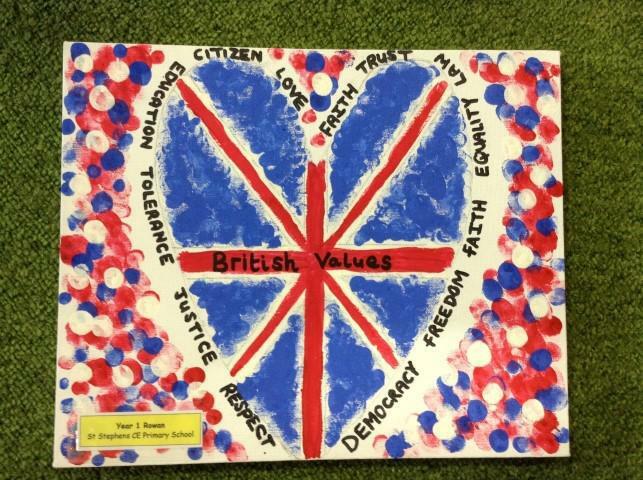 Pupils are always listened to by adults and are taught to listen carefully and respect the right of every individual to have their opinions and voices heard. 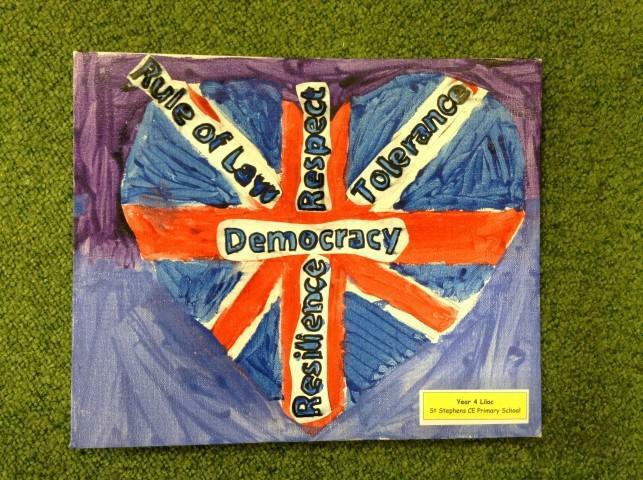 Children are given the opportunity to debate on various topics through our creative curriculum, particularly at KS2, where they will present a case which will be followed by a class vote. Pupils have the opportunity to have their voices heard through the School Council, Sports Council, Eco Council, and Pupil questionnaires. Children put themselves forward through a short presentation, and the elections of the House Team Captains and School Council are based on pupil votes, thereby demonstrating democracy in action. They also have a chance to explore other leadership roles and take responsibility for change through the roles of: Prefects; Worship Wardens; librarians and Play Leaders. Democracy is featured in our curriculum maps. The importance of laws whether they are those that govern the class, the school or the country, are consistently reinforced. Each class discusses and sets its own rules that are clearly understood by all and seen to be necessary, thus ensuring that every class member is able to learn in a safe and ordered environment. At the beginning of each school year, the children spend time defining and reviewing our school rules. 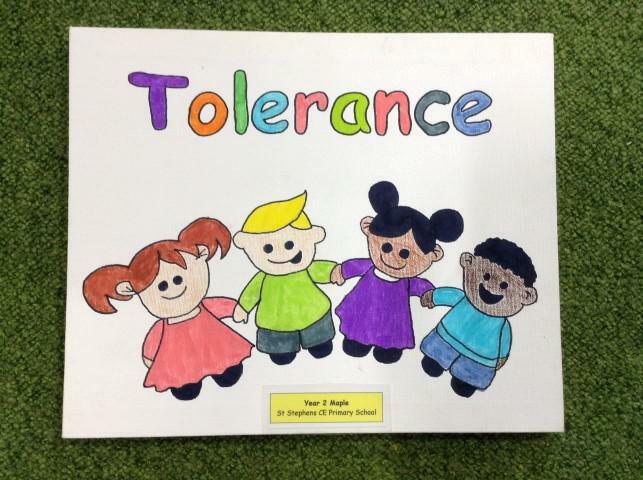 Our Christian values enable children to find examples of why we follow a code of conduct and to recognise and appreciate when others demonstrate positive behaviour. We teach the value and reason behind laws, that they govern and protect us, the responsibilities that this involves and the consequences when laws are broken. Our school Behaviour Policy is shared with all stakeholders. Children regularly reflect on their learning during lessons and their behaviour during our collective worship and celebration assemblies. Yearly Parent/Carer and Pupil questionnaires include questions which relate to behaviour, safety etc. Safe and Sound Week, Anti-bullying and E Safety help children to understand how to behave towards each other and how to stay safe. Visits from authorities such as the Police and Fire Service are regular part of our calendar of events and help reinforce this message. Children are made aware of the importance of individual liberty and freedom of speech through the study of people, like Nelson Mandela and Martin Luther King, and celebrations such as Bastille Day in France. 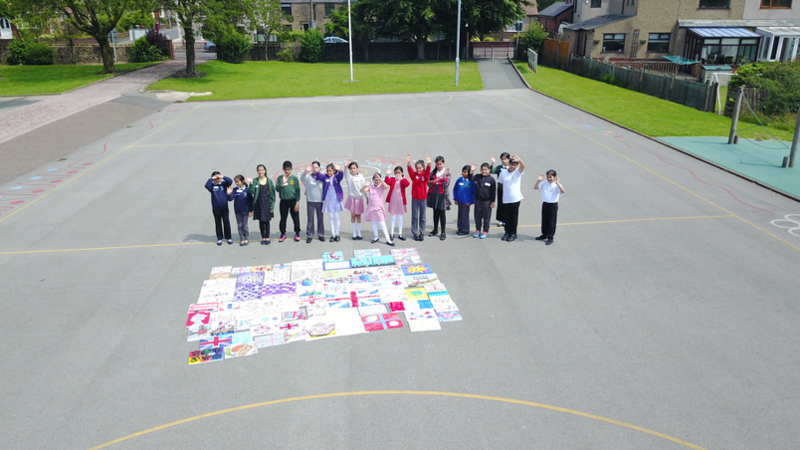 As a school, we celebrate every individual and children are treated from this viewpoint. 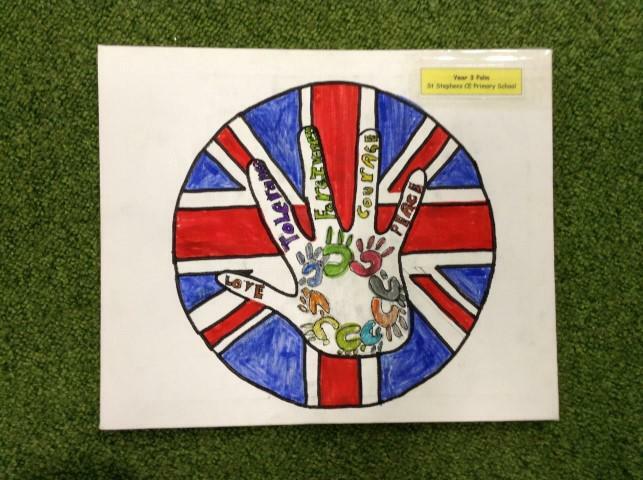 Pupils are actively encouraged to make choices, knowing that they are in a safe and supportive environment. 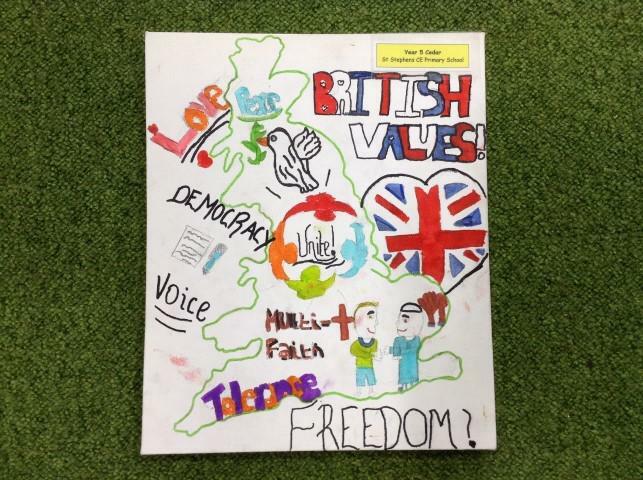 At St Stephen’s we encourage the children to express and justify their opinions; exercising their rights. 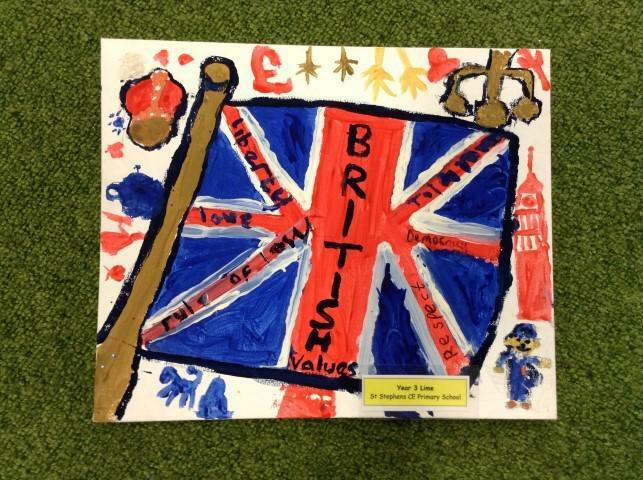 A range of weekly extra-curricular activities, suggested by the children, are offered and the children are given the freedom to choose which they would like to attend. Children take responsibilities as Buddies, Play Leaders, class monitors, lunch time monitors, School Councillors, Sports Councillors and prefects. We encourage participation in charitable events e.g. Children in Need, Macmillan Coffee morning, Comic Relief, and support fund raising for disasters affecting the families in our community. 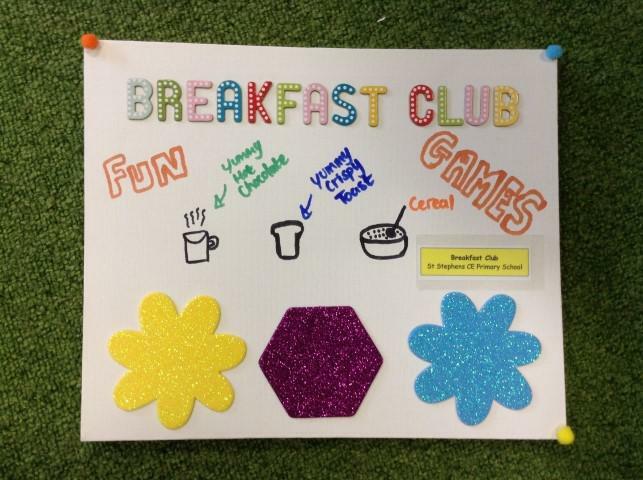 Children regularly initiate and organise fundraising events themselves, for instance when they have Enterprise Week or Baking Days. Children participate in whole school Remembrance Day assemblies and learn about liberty during worship. 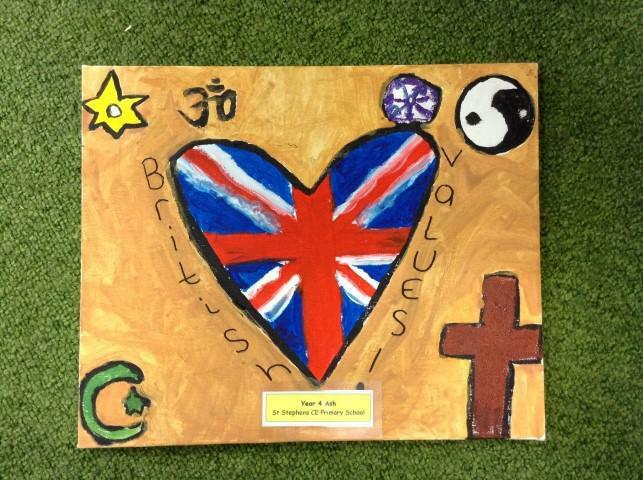 We use Christian Values each half term as a focus for collective worship e.g. peace, trust, respect, forgiveness, truthfulness, responsibility. We use long homework projects where children are given a choice in what and how they present their findings around a theme or for their class worship. 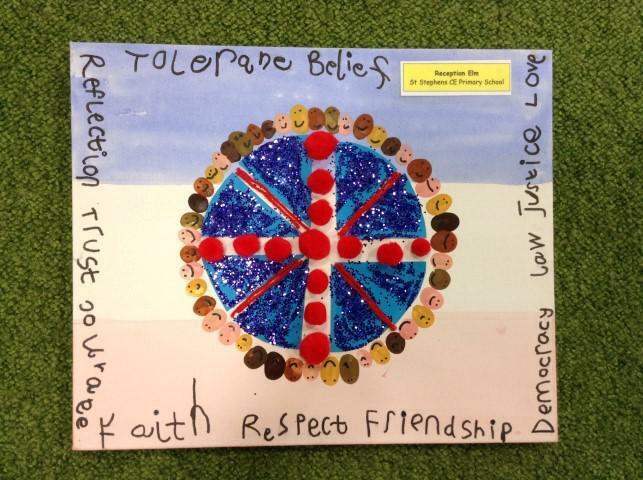 Our prospectus and website shares our ethos, vision and aims which emphasises that at St Stephen’s Church of England Primary School we promote mutual respect for each other and for all faiths. 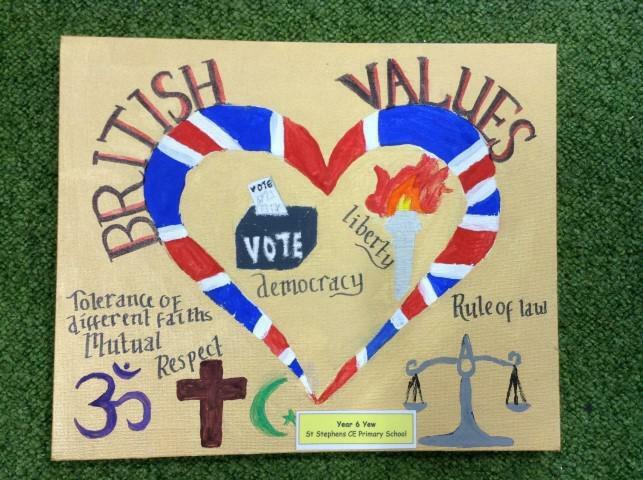 The Behaviour and Respect for All policies are based around the core Christian value “respect” and other shared Christian values which determine how we live as a community at St Stephen’s CE. Worship is based on our Christian values and they are central to how we expect everyone to go about their life at our school. 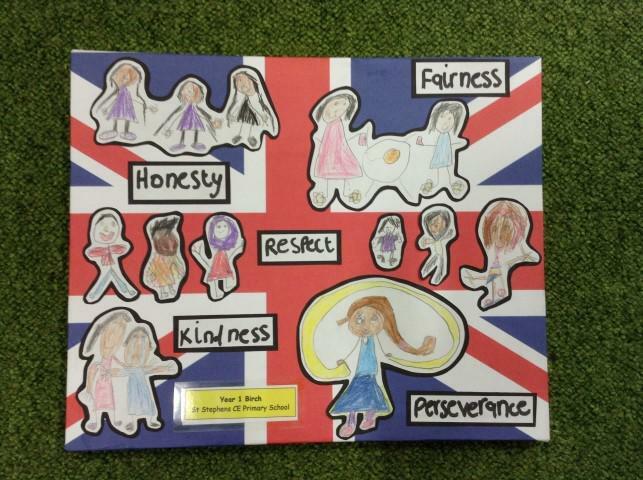 Values are highly visible around the school. 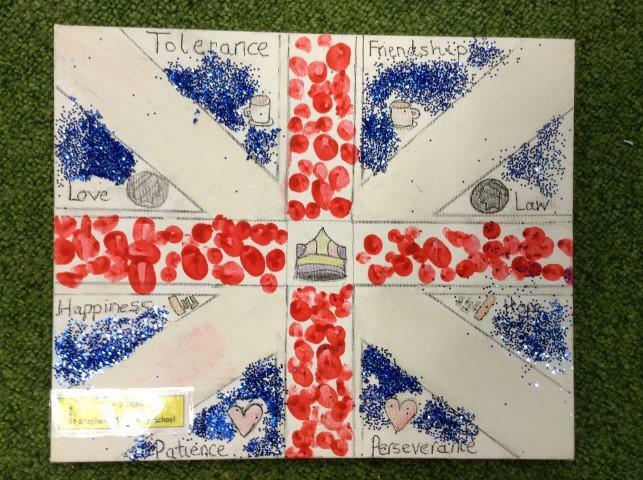 Our pupils live by the values and are keen to identify them in one another- examples can be seen in our pupil prayer book, where the children demonstrate their faith through their daily actions. They understand what they mean and can demonstrate these fully. 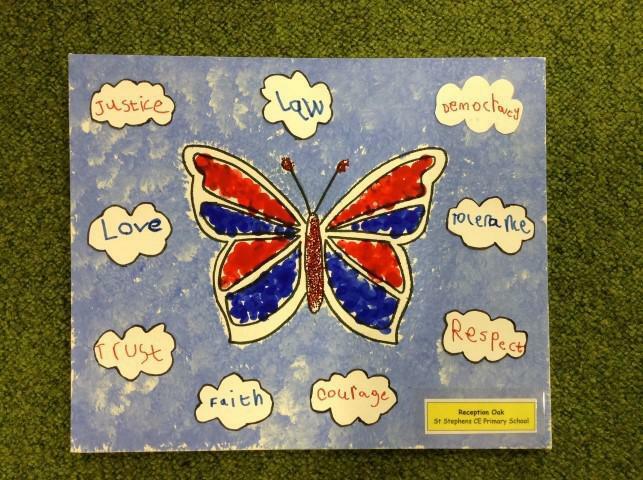 Children learn that their behaviours have an effect on their own rights and those of others. 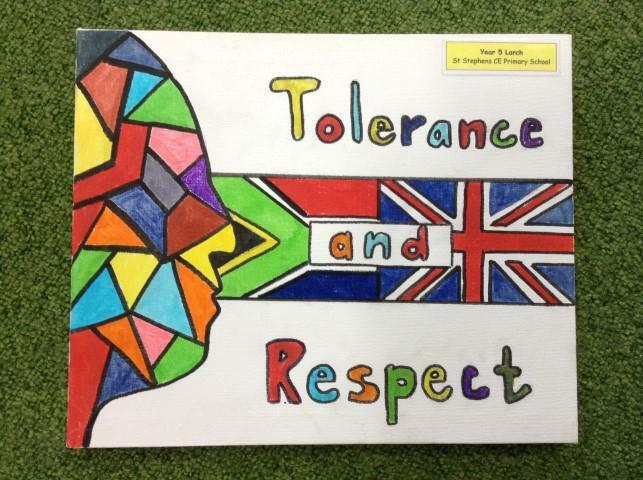 They develop an understanding of tolerance and mutual respect. They know and understand what is expected and that it is imperative that respect is shown to everyone, whatever differences we may have and to everything, however big or small. Positive relationships are encouraged and modelled throughout the school, with the older pupils supporting the younger ones during worship and other collective occasions. 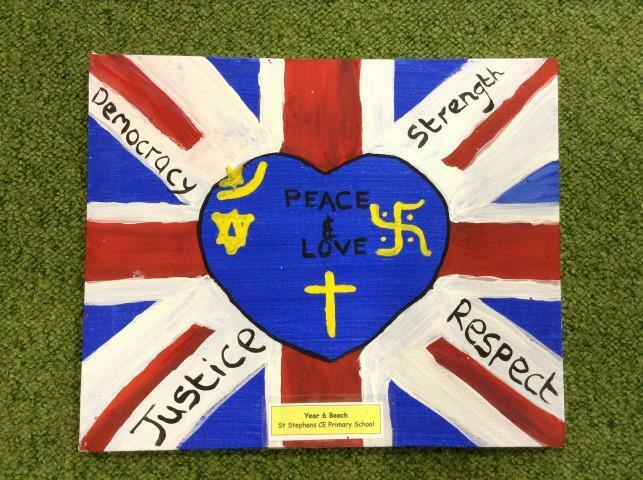 St Stephen’s Church of England Primary School is a multi-cultural school and enhances pupils’ understanding of different faiths and beliefs through religious education studies; topic work; PSHE; visits to places of worship and welcoming religious leaders from different faiths to share their different faiths and talk about their beliefs. We celebrate different festivals (e.g. 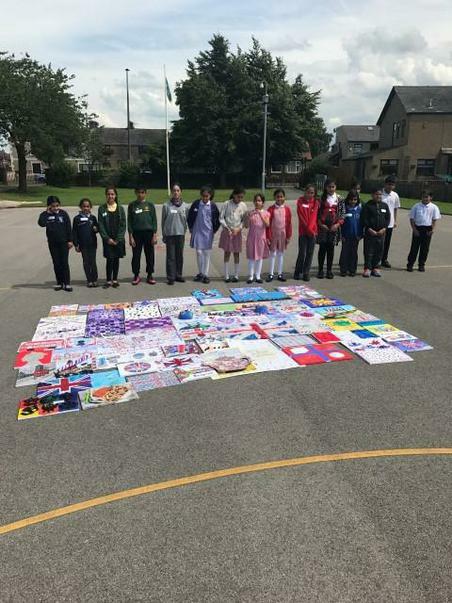 Chinese New Year, Eid and Diwali) and have whole school cultural days, where children learn about music, dance, design, living and faiths from around the world. 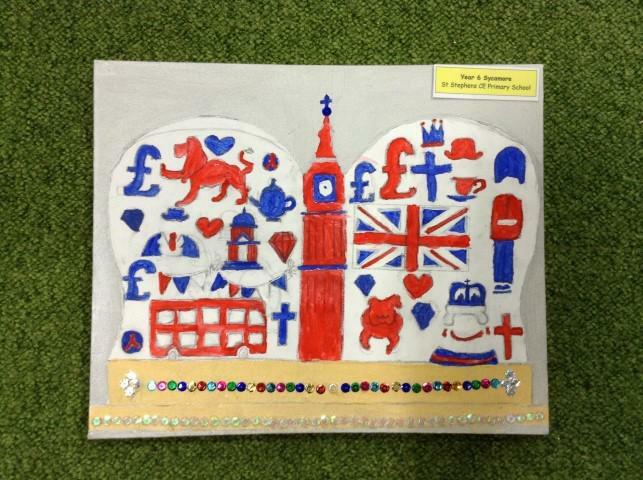 We use opportunities such as the Olympics and World Cup to study and learn about life and culture in other countries. As part of our worship, children explore how a particular value is important in a range of faiths and act out traditional faith stories that demonstrate this.